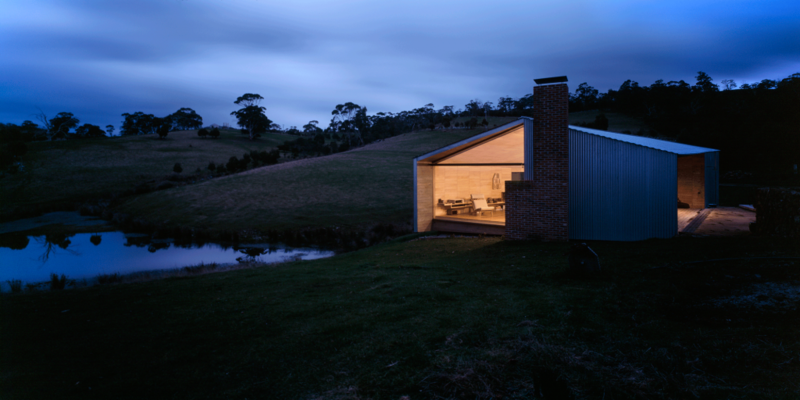 Image - ‘Shearers’ Quarters’ in Bruny Island, Tasmania designed by JWA in 2011. Photograph by Erieta Attali. ‘Coincidences’ is an exploration of the work of John Wardle Architects (JWA) carried out by a series of prominent architectural photographers and artist, Peter Kennedy. This exhibition interrogates the boundaries between public and private spaces. Can a foyer have the intimacy of a living room? How might a house have the civic atmosphere of a university hall? Photographers each visited two JWA buildings and took a single image of each site. The images are presented as a pair; thus drawing out points of commonality, ‘coincidences’, across seemingly unconnected architectural contexts.